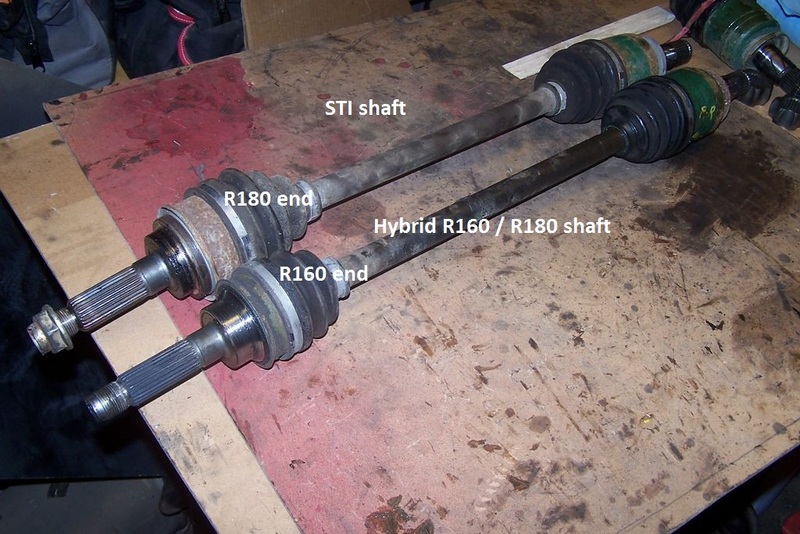 First take apart both shafts. Slide the cage on your existing shaft, then the new custom race, and finally the snap ring. The grooved end of the race goes on first. Apply 3/4 of the bag of grease into the inner cup/joint. Apply some of the remaining grease to the race and cage. Insert bearings in cage – the grease will hold bearings in place. Slide assembled shaft into STI inner cup/joint. 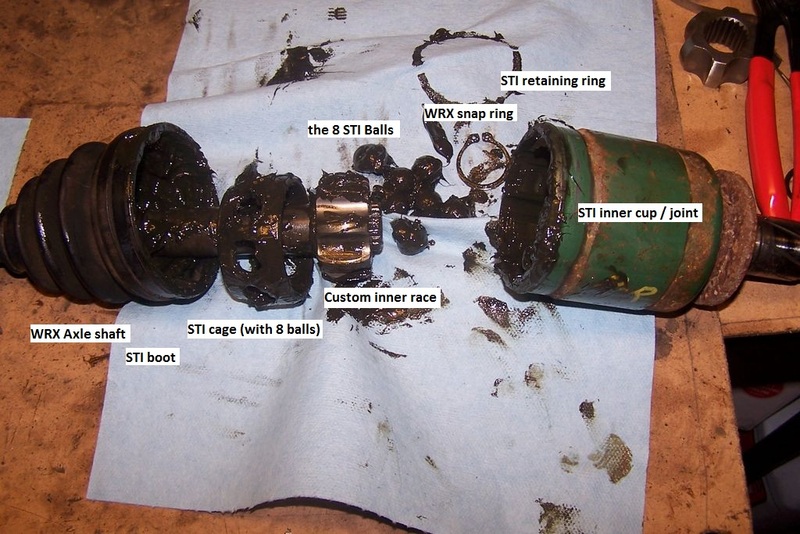 Apply remainder of grease into the STI boot.